The question is no longer if the nation is in the middle of a housing slowdown, but rather how deep and wide it will the slowdown be? A slowdown is inevitable, but let’s all take a deep breath. OK, now take one giant step back… Not every market is slowing down. 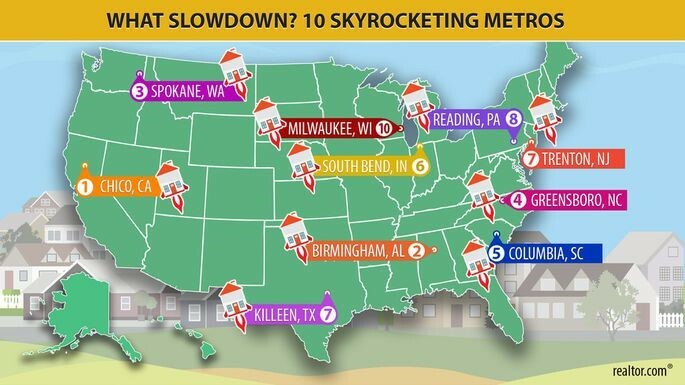 In fact, here are 10 American cities where home prices are shooting up. One California city ravaged by natural disasters are seeing prices climb, so folks are competing for its limited number of available properties. AsktheContractors.com has the list, and Chico, California is at the top.